The Ironbelly Studio “AAA Quality First Person Arms” 4-pack comes with fully rigged and animated sets of arms. Each arm pair has three included skin tones (Light, Medium, and Dark), and each female pair has five nail polish options. 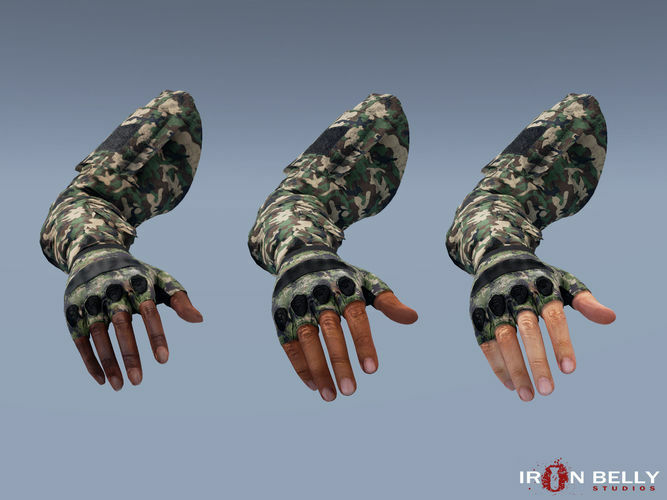 Additionally, we have included military fatigues and fingerless gloves with two camo textures, which are compatible with both male and female arm models. The First Person Arm Pack is perfect for customization into any first or third person product! Awesome pack thanks! Question though, why is it free here and costs $34.99 on UE4 Marketplace? this is the same as on UE marketplace?